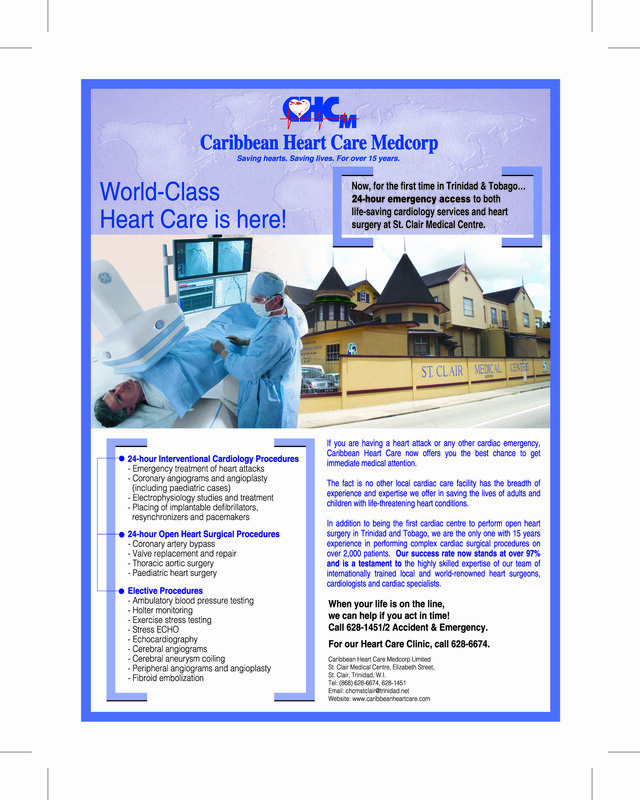 PRIVATE CATHETERIZATION PROGRAM IN TRINIDAD AND TOBAGO. HEARTSMART. 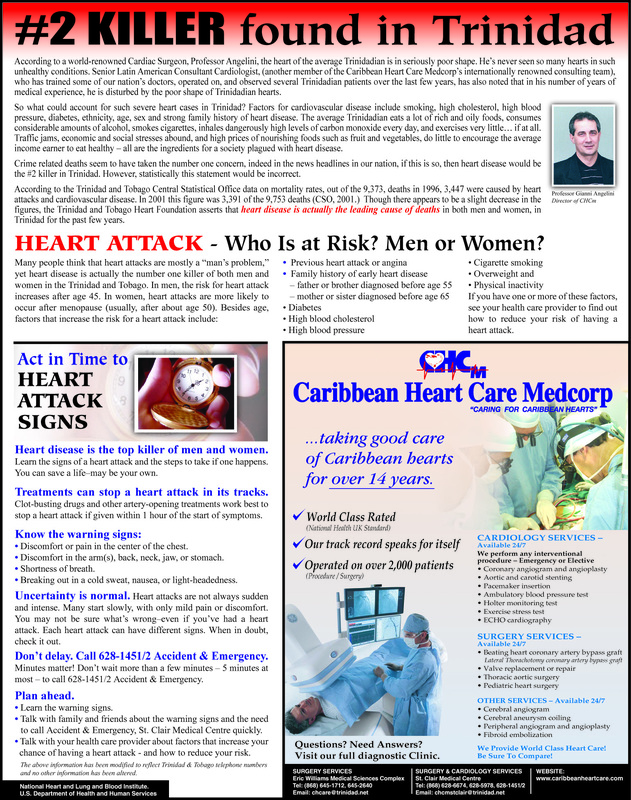 CARDIOVASCULAR HEALTH AND YOU. Why is the heart a symbol of love? Why do we talk about learning something “By Heart”? Heart disease affects everybody, adults and children alike. 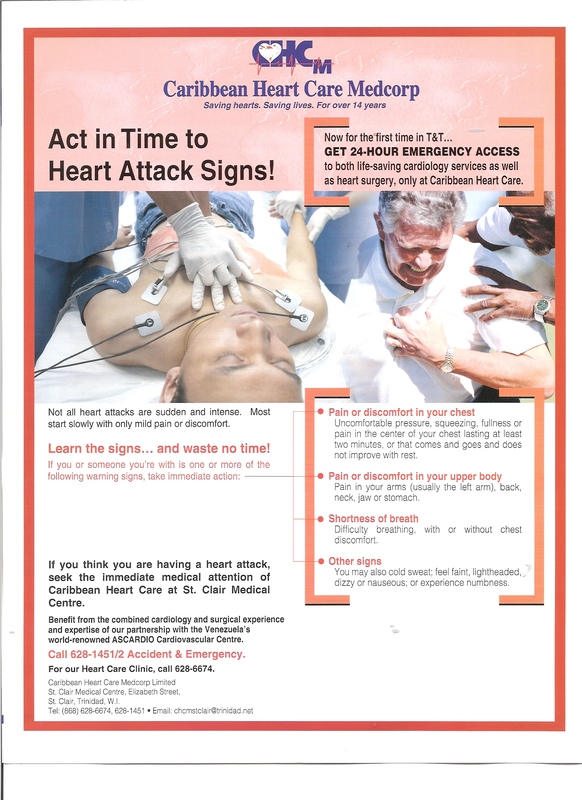 Not all heart attacks are sudden and intense. Most start slowly with only mild pain or discomfort.